Back in March I had the opportunity to attend a Marketing event put on by one of our agency suppliers Meltwater – they provide a handy analytics / listening solution to help brands track their media & social coverage. The first of two speakers (the one that I found very interesting) was Mark Palmer the Global Marketing Director of Pret A Manager – his topic being word of mouth and brand success. Pret began in 1986 in London Victoria and has expanded rapidly to appear pretty much on every street corner in London – in fact there are over 300 stores in the UK, and 400 in total WW. Mark commented on the importance of adapting the food depending on the local culture and eating habits – typically the French sit and eat a good breakfast whereas us Londoners are more likely to grab something on the go. With no traditional advertising spend, Pret focuses on the customer experience in-store and engaging with customers via social media. The Pret view of marketing is “anything that affects the customer experience” be this service speed, the shop surroundings, communications on napkins and the infamous “free coffee” that exploded on social media just last year. Yes, you can get a free coffee from Pret – around this time in 2015 the Chief Exec Clive Schlee commented during press coverage that his employees across the country are empowered to give away a free coffee – in fact it’s actively encouraged said Mark during the session, stores get a certain amount of budget to spend on freebies and they should be spending it all. There were plenty of comments and articles online following this official announcement with many questioning how appropriate it is? As a loyalty scheme it works well for Pret – and I agree, everyone loves a freebie every now and again! 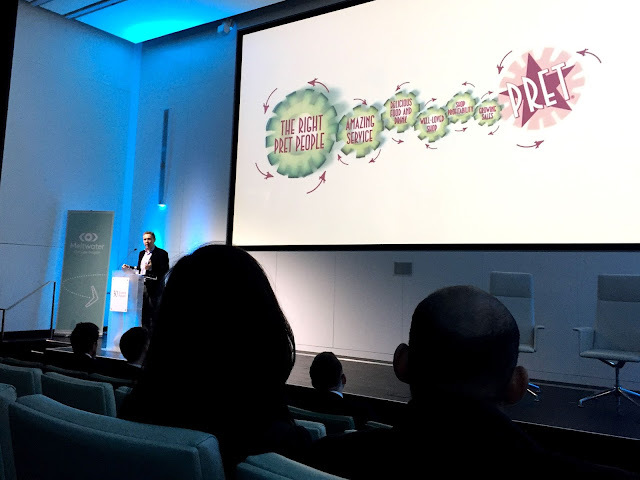 Some of their social media campaigns include the annual reintroduction of the Pret Christmas Buttie – they outsell 3:1 every year when they’re launched! Social media is always used to listen to customers, ask questions and change their products when they need to. A great example of Pret listening to customers via social media followed a social uproar after their removed the sparkling drink “yoga bunny” from their shelves due to poor sales performance. Following the drink being discontinued, social media was in uproar as people were mortified they couldn’t buy it any longer. Pret being Pret, listened and eventually decided to give Yoga Bunny another shot 6 months later. 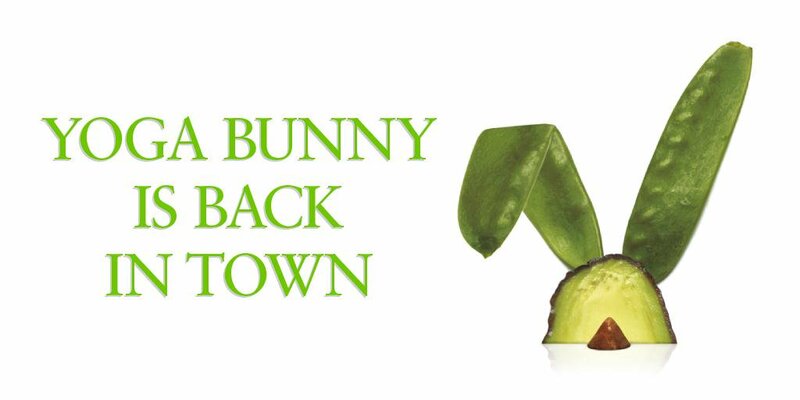 They answered individually to each tweet / post and ran a social media campaign examining “yoga bunny is back”. The drink is still the least sold in their stores – whoever is buying it however is very active on social! Their latest use of social media has been to source new ideas to help improve their vegetarian recipes. If you take a look at their twitter page at the moment #NotJustForVeggies is their key hashtag as they showcase new recipes that are gracing their shelves; all down to listening to social media. It seems that Pret really don’t need traditional advertising, word of mouth, be this in person or on social is what really matters. The in-store experience is refined regularly, and as Mark says, it really is all about the right people helping to make the Pret experience like no other. Do you love Pret? Are you a yoga bunny fan? Student can easily take help with math homework online. I think it’s not impossible for student but not possible for some student. They easily cannot do this.